Do you think increasing publication/marketing of literature translated into English is important? The quote above as coined by Edward Bulwer-Lytton in his play, Richelieu, Or the Conspiracy, has never lost validity overtime. Revolutions, ideological movements, and propaganda all fuel action through written word. Written words often instigate wars. Adding even more truth to Lytton's phrase are governments who imprison writers and journalists for their work or their public appeal. Why do many governments feel the need to imprison or censor writers if they are just telling a good story or expressing ideas in a poem? Because many of those same governments came to power by means of the written word. Karl Marx never actually participated in a coup or revolution, but his writings, translated into multiple languages, altered history. Samuel Adams and Benjamin Franklin used words to not only fuel colonial fury against the British, but also unite the colonies toward fighting for independence. This is another reason why translated literature is so important. Many of the world's "closed" societies imprison and censor their writers. Translated literature provides a means for suppressed writers to call out to the world, and it provides a crack in the wall of these closed and oppressive socities. Alaa Al Aswany, as featured in a previous post, is currently fighting with the Egyptian government to have his next novel, Chicago, published. Tahar Djaout's Last Summer of Reason had to be smuggled out of Algeria into France for publication. There are several organizations who work to not only translate and publish censored writers, but also petition governments for their release if imprisoned. PEN International, established in 1921, is an example of such an organization. I encourage to visit their site, which has listings of foreign authors. PEN America's site has a list of imprisoned writers and various petitions. They are sponsoring festival of international writers in New York City this weekend. They will be having a panel discussion on literature translation tonight. Previews are great. For some, they are annoying because the delay the start of a movie, but for most they provide a forecast of good movies to come. Previews for movies help market the movie. Often times, when deciding what movie to see people refer back to whether they have seen a preview a movie. The preview above is the movie of the comic, Persepolis, by Iranian expatriate Marjane Satrapi. If people don't see movies without first seeing an ad or a preview of the movie, then they don't buy books without a preview. As stated in a previous post, most book consumers buy what's on the bestseller's list or from the bargain books table. Now chances are if the consumer is buying a book from the bestseller table it's because they heard about a book on TV, the radio, or from a friend. Why don't publishers market translations the same way? Why not give book consumers previews of what's ahead? What if publishers launched book tours for foreign writers where authors would come to bookstores to do readings and sign books - just like those best selling authors. What makes this an even better idea is that it provides another opportunity for cultural exchange. As you may have noticed, I love quotes. Maybe it's because I lack eloquent expression, but part of the joy of reading is finding little pithy gems of wisdom. The quote above is taken from a scene in which Pip still finds himself awkward in London aristocratic society. To the English speaking reader with an awareness of the time period of the novel, this line is mildly amusing. Even if one didn't have a concept of the exact time period, most in Western culture will admit to feeling intimidated and threatened at fancy meals with multiple spoons, forks, and knives. But to gain any humor from the line or to even gather Pip's awkwardness in his setting, the reader needs to have concept of what that culture is like. Here's another one: There was a sign on the lawn at a drug re-hab center that said 'Keep off the Grass'. Some might say it's a bad pun, others may laugh, but in order to understand it or to make sense the reader must know the colloquial term for marijuana is "grass." Most bibliophiles will have either successfully read or attempted to read Leo Tolstoy's epic work, War and Peace. I began to read it one summer. The novel itself is a good read. Tolstoy brings the reader into 19th century, French influenced Russia in the middle of Russia's fight against Napoleon's advances toward Moscow. From context cues, I began to notice Tolstoy was making satirical and sarcastic pokes at Russian society and mores, but it was not coming across in the English translation that I was reading. As demonstrated above, the translators job is not easy, and there is debate in the translator profession as to whether translations should be word for word or foreignized. When selecting a translated work, it is something to consider in order to either get the author's message, to understand the writer's culture, or both. The title of this blog is a link to an article featured in the New York Times Magazine, "Where Alaa Al Aswany is Writing From," by Pankaj Mishra. Mishra speaks with Al Aswany, who happens to be the founding member of the political movement Kefaya. The topics covered in the article vary from Al Aswany's international success as a writer through his second novel, The Yacoubian Building, his involvement in Egyptian politics, and his responsibility as a writer and an Egyptian. 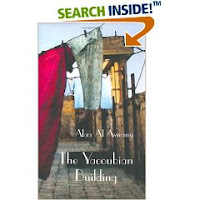 The Yacoubian Building was translated into English from Arabic in 2006. The novel depicts modern Egypt with all its imperfections. The novel was so successful it was made into a television series and a movie. Al Aswany's movement, Kefaya (or Enough in Arabic), aims to end President Hosni Mubarak hold on Egypt and potential plans to pass the presidency to his son, Gemal. Kefaya is compared to the Solidarity Movement of Poland and it's supporters range in political perspective. The writer of the article likens the group to an NGO umbrella for several political groups. The article goes on to discuss Al Aswany's views of Egypt as it stands today and America's relationship with Egypt and President Mubarak. The writer makes a distinction between the U.S. government's policies and the people. He even criticizes the Muslim Brotherhood and their manipulation of Islam. "From ancient grudge break to new mutiny, Where civil blood makes civil hands unclean." 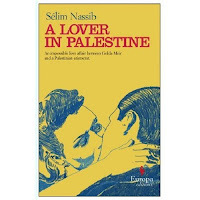 A pair of star-cross'd lovers take their life..."
Romeo and Juliet is one of my least favorite plays written by Shakespeare, and it is not the best comparison for the book, The Palestinian Lover, by Selim Nassib. But many often remark that Shakespeare's plays are templates for stories both fiction and real. Although as the title suggests, the story is about a love affair between a Palestinian banker and Golda Meir, fourth prime minister of Israel and one of its founders, the story is inextricably tangled with the volatile political changes in the vestiges of the Ottoman Empire, Palestine, and the rise of Zionism in the region. The novel is certainly a "page-turner," between the fast paced romance and developing political fury the reader is torn between the curious love between two "opposites," and instability surrounding the two lovers. Perhaps a better comparison would be Graham Greene's The Quiet American. The dynamics of Greene's novel are different. Both novels put the characters in the middle of political unrest, and it is through the characters that the authors shed light and a degree of truth on the political situation facing the characters. Greene's characters, Fowler and Pyle, are both in love with the same Vietnamese woman, and while the plot is superficially about how both men maneuvre to win her, critics suggest it is a transparent veil for Greene to criticize America's early involvement in Vietnam. Nassib's novel is less philosophical. Through the characters of Golda and the wealthy Palestinian, Albert, Nassib personalizes the conflict of the region. This is why the novel is important. He gives the developing historical anger in the background as Albert and Golda forgo words and fall into an impossible relationship. While the relationship depicted between the Palestinian and Golda is deemed by many to be nothing more than a rumor, Nassib provides the reader a better understanding of the factions and the upheavals that created the conflicts Palestine continues to see today. What about foreign authors who write in English? There are many writers who are from non-English speaking corners of the world who write excellent novels in English, allowing the reader to see inside the author's own world. Writers like V.S. Naipaul, Chinua Achebe, and Salman Rushdie are all foreign born writers who have written all or mostly in English. Their contributions to the world's perspective of their own home societies is very relevant. Michael Dirda of the Washington Post recently wrote a review ("Half a century ago, Chinua Achebe changed the face of African literature") on the publication of the 50th anniversary publication of the novel, Things Fall Apart by Chinua Achebe, remarking how the book conveys "a mythic, timeless quality to his small postage-stamp of Africa." Dirda brings up the fact that Achebe wrote a language perceived by many of his countrymen as the language of colonizers, but Achebe argued that English is lingua franca for Africa, a language of convenience. One may even argue that his book reached larger audience because it was originally written in English and then translated into 50 languages. But I would argue that when an author writes in a second language, even a language they are fluent in, they don't write as comfortably. Writers write for their audience. It's like when you have guests in your home, you act and talk a certain way. When it's just you and your family you're more at home. Translated literature invites the reader to come in and make themselves at home. "Slowly, with the turning of time, I have figured out that that which they call happiness, beyond ordinary pleasures, is a cloak which only the needle of goodness and service and with the thread of compassion and care for God's creation can be sewn." Many people spend their lives working to attain that which makes them happy or what they believe makes them happy. Constance Bobroff has taken an Iranian short story by Mohammad-Ali Jamalade and made it available on-line in both Persian and English. "A Day in Rostamabad of Shemiran" is the story of a traveler who upon entering the town of Rostamabad is confronted with two distinct paths to happiness epitomized in two of the narrator's boyhood friends. One brother has chosen to enjoy his life, marry, raise his children, and share his wealth with his friends. The other brother has chosen isolation, buried deep with books and philosophy. Each of the brothers ask for the narrator's approval in the path they chose for their happiness. The narrator tells both men they have chosen well. After departing their home he is troubled by his response and questions whether one path is better than the other. The story is a morality, one that arrives at a profound answer to the narrator's quandary. What makes the story appealing is the immersion of the reader in Iranian culture. 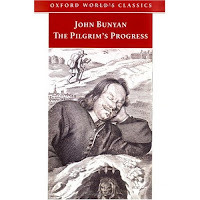 The respect and hospitatlity that is apart of the language and social mores are expressed both in the narrator's description of his travels and his interactions with characters of the story. The website is truly astounding in terms of detail and interactivity available to the reader, either as a student or interested bibliophile. Ms. Bobroff translated the story in a strict word for word translation to aid students of the Persian language. There are also links for an audio reading of the work, hand written lines of the text, and dramatic readings of the poetry found with in the story. The web page allows the reader to glimpse the art and craft behind translating literature. crack the spine of that thick book - which contains two books! Not the double feature you were expecting huh? Me personally, I prefer a nice hot cup of hazelnut coffee with a little milk and sugar, some warm chocolate chip cookies or maybe a hot pastry with the creamy, sugary frosting. Maybe that's not the part that's troubling about the scenario. It's the book, right? Not your typical Friday night double feature. Target, Wal-mart, Best Buy, etc. all sell those delightful double package DVD's, which aside from making the consumer delighted at the prospect of getting a deal on some favorite movies also turns out to be a great marketing tool. The double feature DVD packages are typically movies that have been out on DVD or video for years, but when combined with another old favorite either by story or acting talent theme these dated features provide new marketing life. Why not do the same for old classics? And while we're at it, why not provide a market platform for those literature translations? Maybe you have some double feature recommendations? Studying the origins of the word translation, the word comes from the Latin "translatio" connected to the verb "transferre" which breaks further into "trans" or "across," and "ferre" or "to bring." Then the Greek, "metaphrasis" which means "speaking across." How strangely appropriate. Until I actually began this blog, I had no idea the turmoil that stirs with in the world of literary translation. If you stop to consider what faces the literary translator it makes sense. Technology decreases the demand for "manual" translations. The business of publishing requires marketability of the product and quick deadlines. Not to mention recognition for the translation, royalties, and copyright issues for the translation. In addition, the theory behind translations continues to be debated. Today translators tend to emphasize the need to maintain the foreign style and content of the source-text, known as foreignization. Prior to foreignization, the goal of the translator was to make the work appeal to a wider audience, make it more literary. 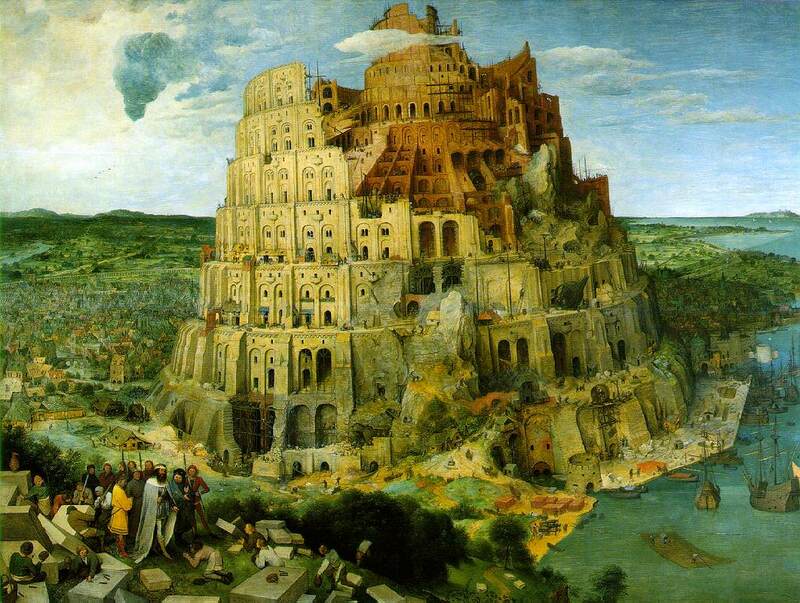 The British Council sponsors an excellent site on literary translations. They have a page that provides a historical overview of the importance and significant contributions of literary translations. Traditionally, authors established themselves through translations. Translations were not word for word translations, typically, and the translators published these works with prefaces and critical essays. Through the work of translation, authors were able to better understand writing style and story construction. Many authors that began a career in writing as a translator, implemented style elements of the writer they translated into their own works. Writers and translators used to develop relationships with one another, which often helped with the translation of the work. Today translators are contracted to translate literature. During the Cold War, programs were created to translate American and British literature and media to bring Western culture to closed societies. Most of the programs established throughout the Cold War remain, but they promote translations of English sources into other languages and less they other way. So why start a blog to promote literary translations, much less foreign works into English? Transferre. To bring across what is being lost in translation or shut out because the literature is not translated. To know and understand the other side of the story. Translators and the works they translate should be used as "cultural mediators, as ambassadors of foreign literatures and cultures...facilitators of cultural exchanges." What if translated works were used in conjunction with literature regularly taught in the classroom? Many educators use the technique already so that students may understand themes as well as the benefit of a deeper understanding of both works contrasted. In my studies, my 10th grade teacher had themed units, and each unit had books grouped based on the themes each book focused. For example, we read Antigone, Twelve Angry Men, and To Kill a Mockingbird to develop the theme of justice. 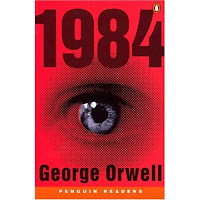 Another unit compared George Orwell's 1984 and Fahrenheit 451. The effect of comparing two works allows for a better understanding of what the author is trying to convey. Encouraging teachers to use translated works to compare to classics already used in the classroom would not only increase students' understanding of the novels they read, but also increase students' understanding cross culturally. The method may even spark interest for the student to read other foreign works. Such a technique would also increase the demand for translated works. 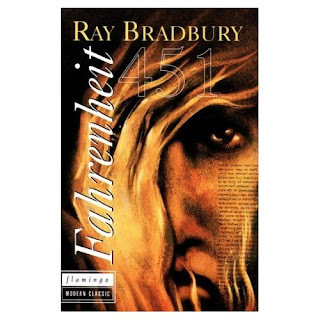 This post proposes a comparison between The Last Summer of Reason and Fahrenheit 451. The tension in both novels surrounds the suppression or complete elimination of books. One is set in a futuristic America, while the other takes place in what can be assumed to be present day Algeria. However the most significant similarity between the two books is how theories of logic - secular or religious - have labeled books to a threat to each culture's highly placed values. The reasoning behind censoring books is very different: Fahrenheit 451 purposes that books create inequality - allowing people to be smarter or achieve success and the inequality brings violence and jealousy. While The Last Summer of Reason describes a radical religious group, the Vigilant Brothers, that charges books to be in conflict with their god, that books compete with their god as a creator and cause questioning, free thought, and rebellion. Another striking resemblance between the two works, is the struggle both protagonists have with their relationship to books. Guy Montag (Fahrenheit 451) struggles with feelings of unhappiness and numbness. Boualem "suffers most of all from loneliness." Both characters feel a loss of reason: Guy no longer understands the reasoning for burning books, and Boualem begins to question his reasons for holding onto books to his own peril and slowly loses the solace and meaning the books gave him. Further similarities can be seen in both protagonists' distress regarding the devaluation of human life as a side effect of these book less societies. 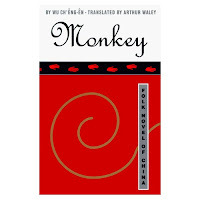 Guy becomes angry with his wife and her friends as the discuss the pending war with detachment and apathy, and the conclusion of the novel contains a scene following the bombing of the city in which Granger explains how the elimination of books, means of creative expression, made humanity numb to death - humanity had become equal, leaving nothing unique to love or to share love with others. For Boualem, people have been "stirred up by a devastating flood, the flood of dogma that commands one to suffer and cause suffering, to annihilate, and to die without slightest feeling...Weapons speak with an ease and a frequency that make life laughable, a mere temporary accident squeezed between two probabilities in which the variable has become more unpredictable than ever." It is ironic and frightening how both novels show worlds where logic and reasoning have rationalized books to be dangerous, sources of conflict; and in these societies where books have been suppressed or eliminated, violence has not diminished only increased. And the now the violence is detached as the result of the devaluation of human life. If Fahrenheit 451 is the future without books, then The Last Summer of Reason is the prologue to Ray Bradbury's futuristic novel. 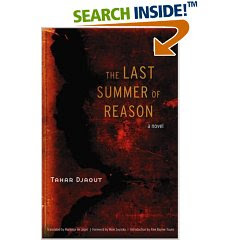 Written by Algerian journalist and writer, Tahar Djaout, The Last Summer of Reason describes the building anger towards books, writers, and even book sellers as a radically conservative Muslim group begins to take control. The story is told through the eyes of Boualem Yekker, a bookstore owner. The novel was published post-humously, as Tahar Djaout was assassinated by an Islamic fundamentalist group in 1993, the manuscript was found among his papers. His radical, Islamic countrymen were angered by his Raptures weekly, dedicated to breaking with Islamo-Baathist ideology. Djaout was also criticized for writing in French, the language of colonization instead of Arabic, but as Kabyle has no alphabet and Arabic is a foreign language to Algeria, the criticism is viewed as unreasonable. When reading The Last Summer of Reason, one can't help wondering if there are autobiographic elements to the story. Djaout's story is a "must read" for a number of reasons. 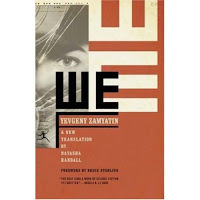 First, for the English reader, the author constructs with great vividness and emotion the fear, sadness, and personal questioning that occurs when political groups slowly invade human freedoms. It begins with restricting news and media, then books and creative expression, then you're own personal thoughts. Second, this book provides important insight to the other side of the battle against militant Islam. Much of the world is locked in controversy over Islamicism. The Western world is on the defensive due to attacks and threats lodged by Islamists, but few understand or even think about the places in the world where Islamicism has taken hold and what that means to the people and the culture of that country. Djaout's novel walks the reader through the emotions of uncertainty, questioning, anger, and fear. The Last Summer of Reason provides a larger scope for conflict between the West and Islamicism. The Western culture is not the only culture under attack - other cultures have been smothered under, where Islamicism has taken hold. If books are carriers of civilizations, then Tahar Djauout's novel carries the Western reader to a civilization struggling survive and to the other side of the conflict. Although I am an avid reader, I will admit that my full immersion in translated literature is not what it could be. In school I was exposed to some world literature, mostly Russian and Latin American. So, I did a little digging to expand my literary horizons. My initial search brought me to my local bookstore, where I asked the cheerful sales associate where I might find a section of world literature. The bookstore employee smiled briefly and then answered that the store did not have a section of world literature. I found this to be true of all the major bookstores I visited. Each book seller replied the same and then asked if perhaps I knew the name of the author or book I was looking for. I know for me personally (and I think I can assume the following to be true of the average person), that the perspective book buyer is less inclined to search shelf after shelf for a work of foreign origin. Most customers don't make it past the bestseller or bargain books table. I needed suggestions, recommendations. I asked friends and co-workers for any guidance, but most were stumped to come up with good reading suggestions. Failing traditional, hands on searches, I resorted to the Internet. Here I discovered a wonderful website devoted to international literature. Words without Borders is an on-line literary magazine devoted to reviewing, and promoting translated works of literature. The site provides book reviews and excerpts of best-sellers and recently published works, as well as author and translator profiles. This month spotlights female Chinese writers. The magazine has also introduced their Words without Borders Translator Database. Other features include forums, blogs, teaching resources, and the magazine's own recent publications. Perhaps translated works would be more profitable if publishers requested book vendors to feature a world literature table - in between the best sellers and bargain books. What American scholar has translated both Japanese literature and video games such as Final Fantasy VIII? What British author translated Homer's Odyssey and fought in the Arab revolt during WWI? What American ex-patriate, poet is credited with the introduction of Confucian teachings to Western culture by translating them into English? What British mystery writer began translating Dante's Divine Comedy during the London Blitz?